Comic book publishing in New Zealand has often followed a similar avenue to poetry, with small self-published hand-bound volumes, in tiny print runs. 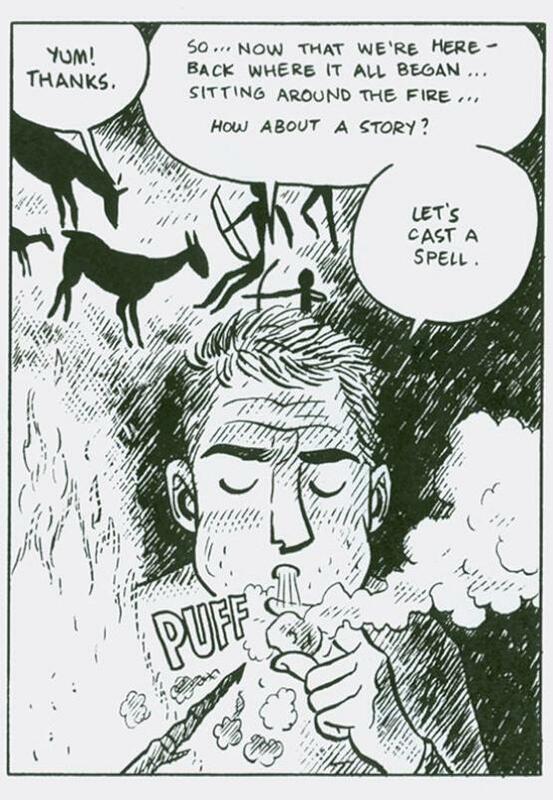 Of all the local comic writers and artists around, Dylan Horrocks is one of the closest to the New Zealand literary community. 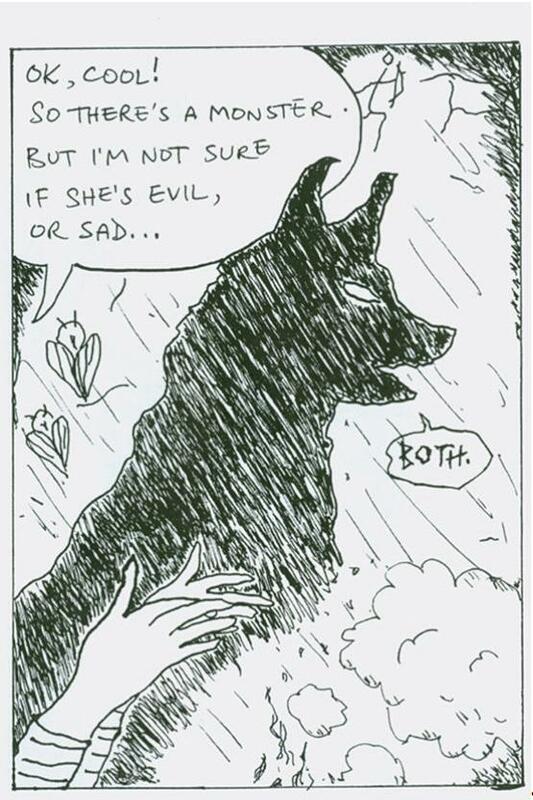 So it’s not so surprising that he has teamed up for a comic ‘jam’ with local literary light Emily Perkins in the form of this small self-published 28-page zine. The endeavour was arranged as part of a multi-media event of which I barely know the circumstances (you can look it up here:), with the writers ‘performing’ their story live. A ‘jam’ comic is a tradition/technique, popularised by communities of comic artists, notably in the American underground of the 1960s, where artists swap frames, or pages in a combined narrative. 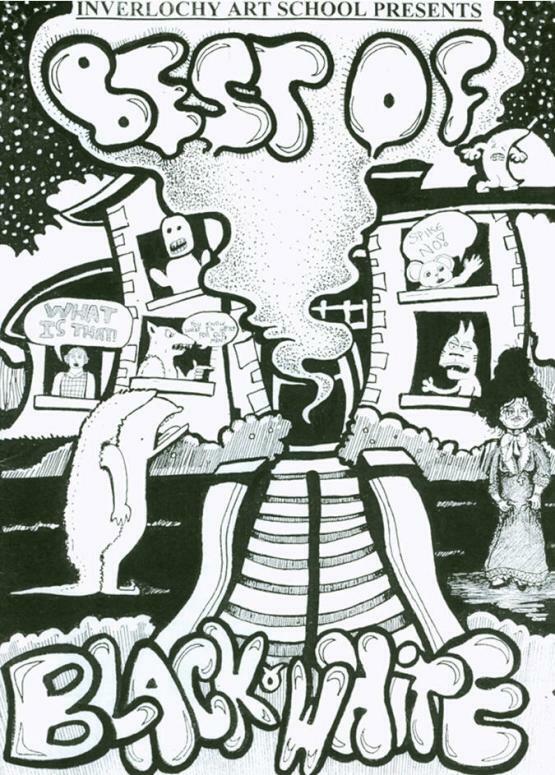 It has a special place in New Zealand comic communities too, not least the epic ‘Tisco Jam’, featuring Dylan Horrocks’ early character Tisco George and Cornelius Stone’s Joe Dole, that appeared in ‘Razor in 1988, and featured appearances by Chris Knox, Roger Langridge and others. But the ‘jam’ in ‘All Hail Ellie’ is more of a modern sort. 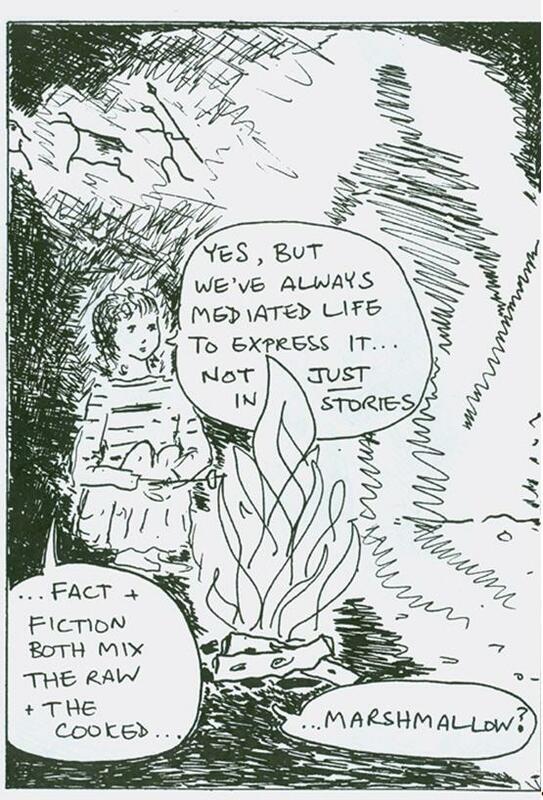 It takes the form of a page-by-page conversation between two artists about their art, and follows the pattern of James Kochalka and Craig Thompson’s ‘Conversation’ from 2004 in which the two American comic artists discuss why they write comics as they journey through a comic book environment of their own creation. This story tackles the subject of storytelling. And in the process they spin a yarn. Young people draw comics. Lots more than old people. This compilation of work by students of Bruce Mahalski, comics tutor at Inverlochy Art School in Wellington, reveals the enthusiasm of his explosive young charges (age 7-15). Taken from students work over the past three years, themes in this comic range from local wildlife conservation messages to the just plain crazy. Young people have fewer barriers and less reluctance to spill their thoughts onto the page, which is what comics are all about. 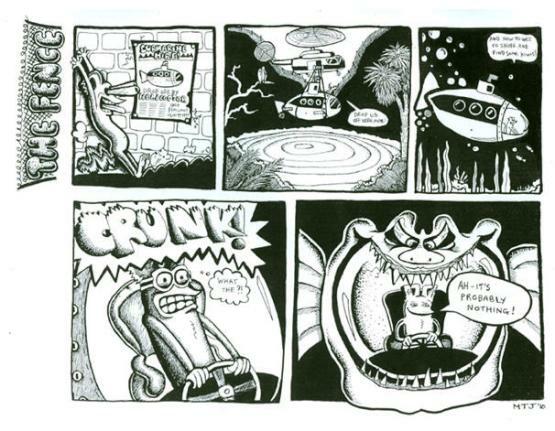 Ryan Jones is as out there as any alternative comic artist with his weird gag strips with strange hook-nose characters. Maddie Tait-Jamieson’s great, crazy creatures, from whales to plankton, are rendered in strong blacks and confident lines that show a real love of cartooning. 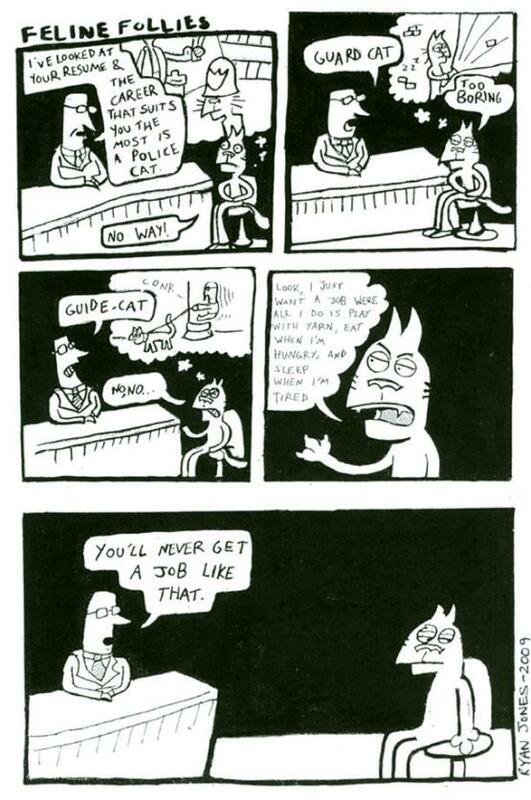 Benedict Quilter’s self-parody ‘Indie Kids’ gives the whole comic an underground ‘street’ flavour. William Jelbert’s recurring character Ethan and his magical hat has all the intuitive elements of punk slapstick. These comics aren’t just for kids, even if they are by them. Copies are available from Inverlochy (address above) or you can contact them to join Bruce’s class and draw a comic book of your own. The world is still big enough that there are comics that I’ve only ever heard about and never seen. I first heard about this one (and I’ve still not read it, as there is yet no English translation) from a Japanese Muslim I met in Paris in 1980. He told me of this manga that was so good that they’d turned it into a movie using only close ups of the frames from the original comic pages. 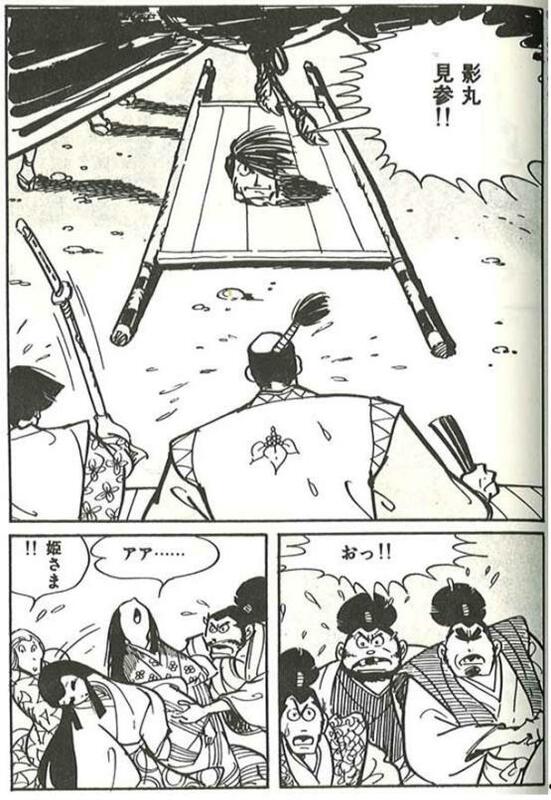 The comic (and film) was ‘Ninja Bugeicho’, drawn in 1959 by an unbelievably young Sanpei Shirato for the Japanese comic rental market. The son of a wartime leftist painter, Shirato too was an artist of radical political intent, who used the theme of ninja outcasts fighting a feudal overlord as an allegory to the universal process of class struggle. The comic is a blood bath, although the artist was still in his teens. ‘Ninja Bugeicho’ was the first ninja comic to appear in Japan following the ban on traditional warrior themes in all Japanese popular culture imposed by the post-war American occupation. Shirato had his manga schooling in the kimishibai trade (see last month’s review), so his pen and brush work had the mastery of movement at an extremely young age. In the mid-1960s, Shirato founded Garo magazine which led an explosion of alternative adult comics in Japan that hasn’t let up. But in the late 60s his ninja characters became icons in the student protest opposition to the Japan-America Security Treaty, and the film that Nagisa Oshima made of his first ninja comic in 1967 was as much a radical call to arms as a piece of experimental cinema. It remains today one of the few, if somewhat indirect, ways that English speaking audiences can easily access this wonderful comic book. While Shirato remains one of the most influential manga artists of all time, the extreme violence in Shirato’s comics has drawn criticism from some, such as animator and comic artist Hayao Miyazaki for its political naivety. Outrageous bloodshed never looked as elegant.